Submitted, with thanks, by Elizabeth Bigelow-Velasquez Guillen. When my grandmother, Sinforosa Ortega and my family arrived in Canada from Costa Rica in 1985, they didn’t speak a word of English. 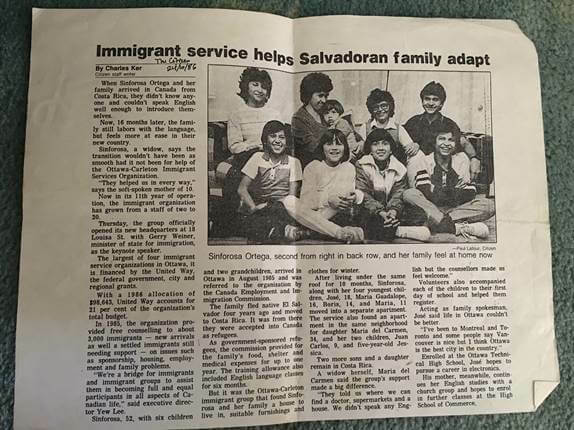 The family fled native El Salvador and moved to Costa Rica due to the civil war that had affected many lives including our families. 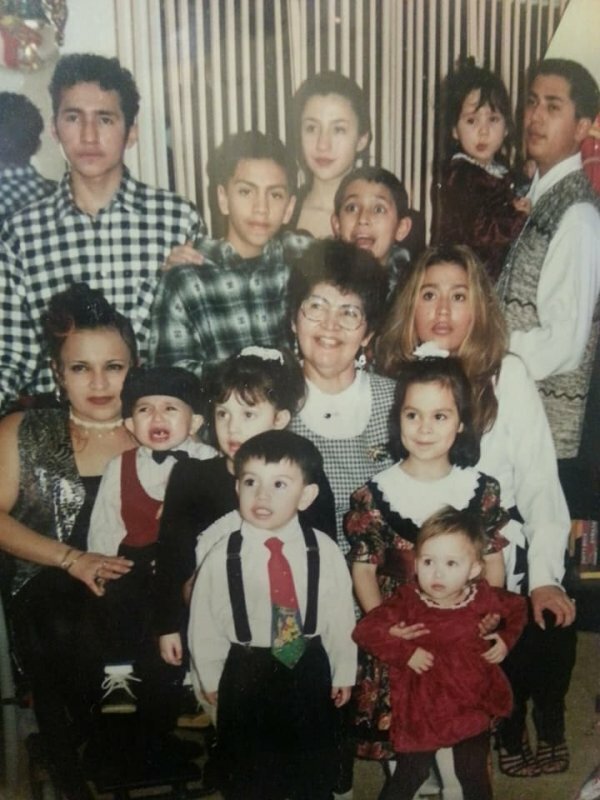 My mother, Maria Del Carmen, with my two siblings, Carlos and Jessica, and one uncle were the first from our family to come to Canada; my grandmother and 7 other children and 9 grandchildren followed shortly after. My grandmother says the transition wouldn’t have been as smooth had it not been for the help of OCISO, the Ottawa-Carleton Immigration Service Organization, as it was then known. 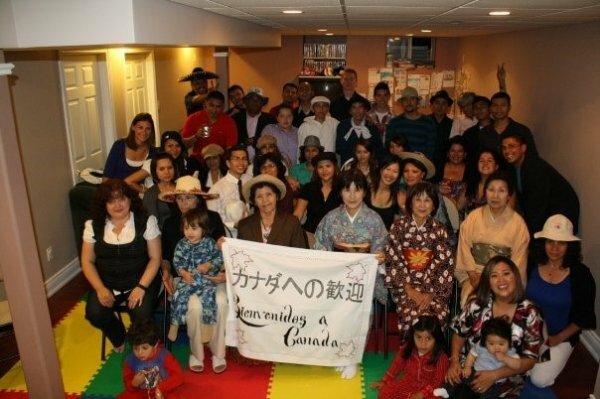 At the time in 1985, the organization provided free counselling to about 3,000 immigrants – new arrivals as well as settled immigrants still needing support – on issues such as sponsorship, housing, employment and family problems. My mother, Maria Del Carmen, who is now 65 recalls the group’s support as a blessing. She never expected the support she got, especially because she didn’t speak a word of English. OCISO helped my mother and our family get into the normal routine of everyday Canadian living and they provided an immense support that will never be forgotten. As a first generation Canadian, I am truly grateful for the support and encouragement that OCISO provided my family at one of the toughest phases of their lives. My family has grown immensely in Canada and continues to flourish. My Grandmother has 9 of her children living in Canada, one still resides in Costa Rica with his 3 children and 2 grandchildren. We are 23 grandchildren residing in Ottawa and 24 great-grandchildren. Our family has been able to prosper in so many ways and we wouldn’t have had the opportunities if it wasn’t for those kind people helping our family settled into their new home. 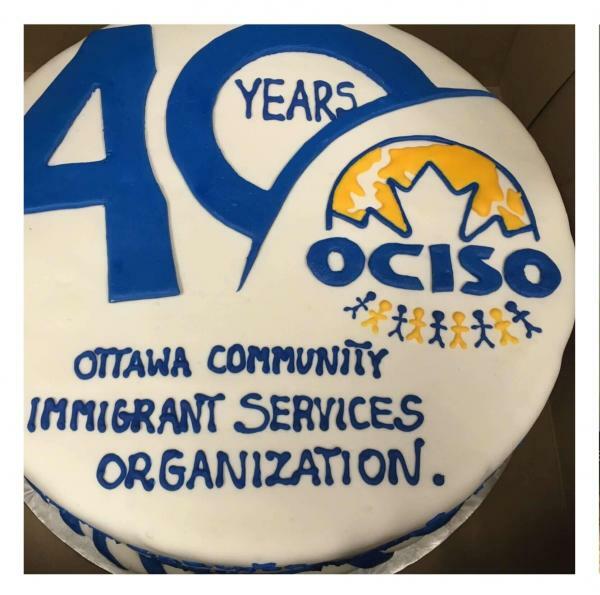 Happy 40th Anniversary OCISO and thank you for helping our family.